TELUS Corporation is the second largest telecom company in Canada, providing a wide range of communications products and services such as data, IP, voice, television, entertainment and video. It is also Canada’s largest healthcare IT provider. The company has more than 13 million customer connections, including 8.9 million wireless subscribers, 1.7 million Internet subscribers, 1.3 million residential network access lines and 1.1 million TELUS TV customers. TELUS has a strong presence in the wireless segment. The wireless segment accounts for 57% of total revenue while the wireline segment constitutes the remaining 43%. The company has industry leading wireless churn rates of below 1% which is an important metric to measure sticky customer relations. Nearly 70% of the total earnings (EBITDA) is derived from the wireless segment. The wireline segment comprises of data, voice, and other services and equipment. TELUS Corporation is a leading network provider catering to 99% of Canadians with its 4G LTE and HSPA+ technologies. Telus is leading the launch of the next generation of IoT connectivity with LTE-M network. Its 5G ready LTE-M network is now available across Canada. The company generates recurring monthly fees from its subscribers which are still increasing in numbers. It reported nearly 150,000 new wireless connections and growth of 5%-6% in its TV subscription in the latest quarter. TELUS has a strong presence in the personal, business and healthcare segments which provides a diversified stream of income. TELUS has diversified into medical record business under Telus Health segment which has become the largest of its kind in Canada. The company should leverage its leading innovations and technical know-how to support Canada’s healthcare system. TELUS’ focus on customer service excellence and technology leadership has resulted in the company having customers with one of the highest loyalty rates. Its wide range of innovative products and services powered by leading technologies and innovations have helped in retaining and attracting new customers. TELUS should retain its leading market share position in the Canadian telecom industry given its world class networks, a customer-first approach and operational efficiency. It is now expanding gigabit-capable Telus PureFibre broadband network which will allow a direct super-fast and reliable connection to homes. Higher wireless network revenue and wireline data services continue to drive its revenue growth. 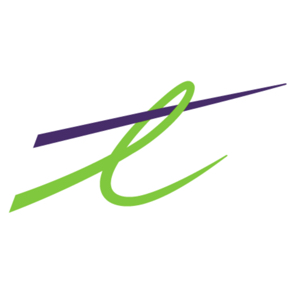 Customers’ demand for telecommunications, connectivity and entertainment services should act as a tailwind for TELUS. The company is continually investing in enhancing its advanced broadband networks and long-term growth focusing on data and wireless. TELUS has increased its dividend consecutively since 2002, growing it at more than 9% CAGR over the past decade. This Canadian Dividend Aristocrat and Dividend Achiever has returned more than $15 billion to its shareholders since 2004. The company has a dividend yield of 4.6% and its last dividend hike was 7%. The company is targeting 7%-10% annual growth through 2019 (its ninth year) as a part of its multi-year dividend growth program. Though TELUS has a high payout ratio of 80%, recession-proof cash flows should support its dividend plan. Since TELUS is one of the largest telecom companies in Canada, it enjoys a regular stream of strong cash flows. The company is expecting to generate robust free cash flow driven by customer growth and lower capital expenditures in 2019. 2018 marked the eighth year when the company met its annual revenue and earnings target. For 2019, TELUS is estimating revenue growth of 5% and earnings growth of up to 6%, which should support a dividend growth in the mid to high single digit range. The telecom industry is highly capital-intensive with stringent regulations leading to high entry barriers. Pricing power, a large loyal subscriber base and extensive asset base are the company’s major competitive strengths. TELUS operates in a highly competitive landscape. The Canadian telecommunication sector is an oligopoly dominated by three big players – TELUS, Rogers Communications TSE:RCI.B and BCE TSE:BCE. These three companies have strong marketing power which prevents new entrants from coming into the market. Strong focus on customer growth, continued network investments and improving efficiency should support TELUS in retaining industry leadership. Shaw CommunicationsTSE:SJR.B is the new player in the wireless space with deep enough pockets to keep at it. As Canada’s fastest growing telecommunications company, TELUS Corp. is well positioned to benefit from a growing appetite for data. The company is investing heavily to improve its infrastructure and expects the launch of the 5G network to be imminent. TELUS is known for having one of the fastest mobile network in Canada and should continue its growth streak given broadband technology investments, strong asset mix focused on wireless and data, and a long-term focused growth strategy. What separate TELUS from the other telecoms is its diversification into the IT healthcare segment. As the healthcare industry evolves into the connected world with patients, TELUS will be positioned to greatly profit from this investment. 5G is touted as life changing but in reality, it’s going to be gradual. Very gradual. Not everybody got an iPhone overnight when it was released. Today, it seems all toddlers have a tablet. Will first to market take away customers from other telecoms, possibly but customers are still on 2-year contracts for the most part to offset the cost of a $1,000 phone. There might be a minor churn in customers for both Bell and Telus in the short term creating possibly a buy opportunity. Will there be a cost if Huawei is banned? Definitely. I think the dividend growth will be limited in order to redirect the cash. If timing is delayed and it has a material impact on consumers, the earnings my be lower due to acquisition incentives for capturing the market share again. 5G is the next generation technology to transform the internet of things and will have a major impact but it will not happen overnight. It will be progressive both in part from the network and the applications leveraging it.